Fettan™ ensures a consistent and positive customer experience with a 99.9% uptime guarantee. Fettan™ adds relevance and value to the customer experience to attract, engage and retain loyal customers. Quickly and easily get to market anywhere in Ethiopia with Fettan’s 30-day implementation guarantee. Fettan™ gives you the business insight and intelligence you need to make well-informed business decisions. 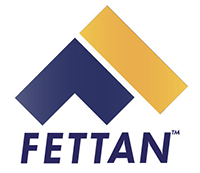 Stay ahead of evolving markets and consumer demands with Fettan’s ongoing focus on the cutting edge of commerce. Don’t leave money on the table. Fettan™ partners with you to bring value to your business and increase profitability. Differentiate yourself in any market in the country with Fettan’s industry leading commerce technology, products and services. Fettan™ helps you eliminate financial losses with the highest security standards and fraud monitoring techniques in the industry. Realize your vision. Fettan’s end-to-end commerce platform enables you to utilize every component of the payments ecosystem. We offer a fully developed, end-to-end commerce platform that taps into every component of the commerce ecosystem. Find out today how we can help your business create stronger, more profitable customer relationships through commerce.